The lighting is not the best in this picture as it was fairly late in the evening. We had put the feeder out about a week before. 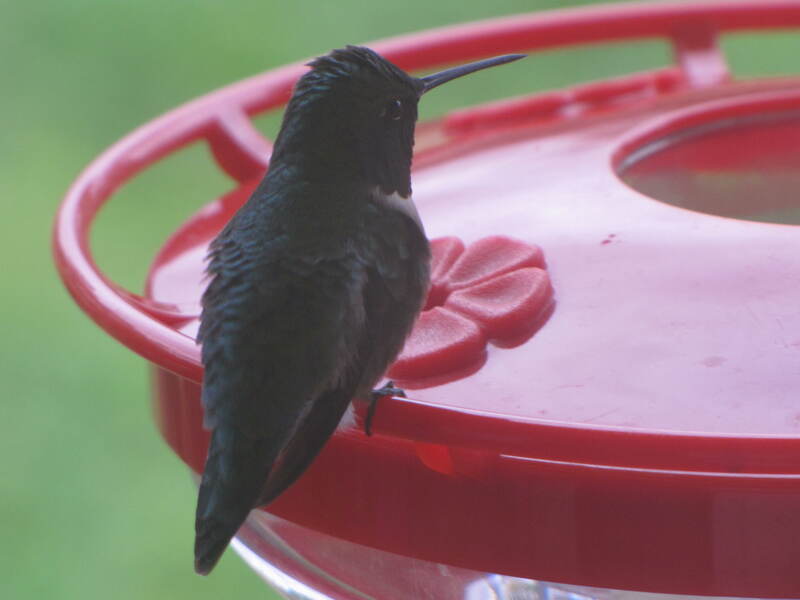 We kept on checking until suddenly he was there on the feeder. 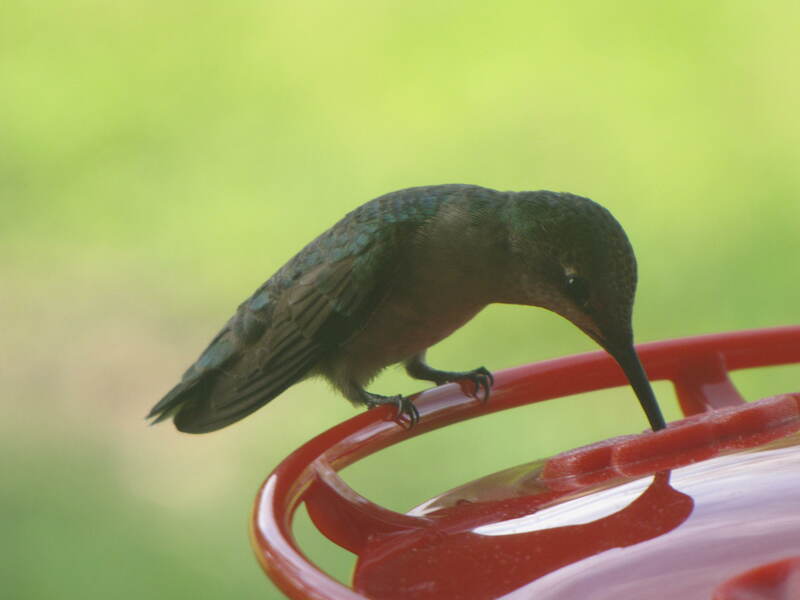 This hummingbird (along with a 2nd one we saw the next day) are probably on their way further north.